Ok, not baseball but an empty baseball stadium. Yesterday was the Texas Rangers Labor Day 5K. 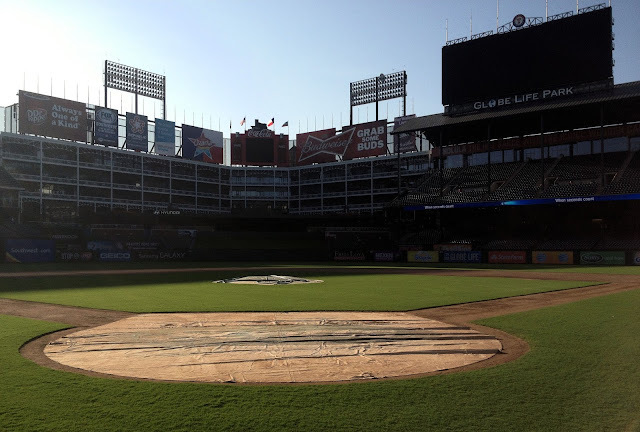 It started outside Globe Life Park in Arlington and finished on the 3rd base side of the field. You could walk around the outer edge of the field after the race. For me, thats worth the drive, cost to enter the race and the heat and humidity.